Workshops will be organized on March 12th (Saturday), 13th (Sunday) and 17th (Thursday). For some workshops the number of participants is limited and some workshops may be restricted to invited participants. Those with adequate sponsorship can be free of charge, whilst for most there are registrations fees (please contact the organizer for details). For any question concerning the workshops please contact the organizers of each workshop and not the conference committee. The themes/titles of the proposed workshops for the Conference are presented below as well as contacts of the organizers and abstracts. This workshop is organized together with the Madeira Whale Museum (www.museudabaleia.org/en/). Due to the special nature of this year’s student workshop a small contribution of €10, will apply for this workshop. Madeira is a gorgeous Island with lots of marine wildlife in its surrounding waters. What better way to spend this year’s student workshop than on a boat? On a 2 to 3 hour boat trip in the morning we will take you out on the waters around the island to seek out some of the many marine (mammal) species this part of the Atlantic Ocean has to offer. You will be taught multiple skills and interesting facts from both experts from all over Europe. They will teach you stuff about species recognition, photo identification, best practices in whale watching, species protection, data collection and other valuable practical skills you will need during your career in marine mammal science or conservation. In the afternoon we will go inside and gather some more skills on photo identification and field data processing. The encountering of marine mammals is not guaranteed. The trip is also dependent on weather conditions. A suitable alternative will be offered in case of bad weather. We would also like to invite everyone to bring their binoculars, GPS, laser range finder, camera and laptop if you have them. You will also have to bring your own lunch and snacks for during the day. So come on board and sign up for the student workshop! Send an email to our student representative Inger van den Bosch via ecs.students@gmail.com. This workshop will allow a maximum of 50 student participants. Aim: To gather and exchange knowledge about systems used to build up a system to survey the monk seal conservation status in its different populations. Summary: Mediterranean monk seals (Monachus monachus) is one of the most endangered and scarce marine mammal species in the world. Its scarcity together with the habitat used currently by the surviving populations, marine caves, makes this species difficult to monitor and to identify conservation actions to undertake, as well as to determinate its conservation status and trends. Moreover, monk seal populations are dispersed from the eastern Mediterranean to the Atlantic, making that several groups and administrations perform the monitoring of the populations in different non standard ways. In the other hand, different groups have developed different successful systems and methodologies to undertake the same problems in their respective working areas. The workshop will allow participants to know and exchange experiences and methodological solutions successfully applied in the monitoring of different monk seal populations. Monk seal experts will be invited to present their approaches in their working areas. A forum of analysis and discussion about these matters will be established to determinate the minimum data required to be able to determinate and survey the conservation status of a monk seal population. The main output of the workshop will be a set of recommendations of consensus for the survey of the conservation status of monk seal populations. These recommendations will be used as an input for the development of the EU LIFE Madeira Monk Seal project, which has as one of its main objectives the development of a system to survey the conservation status of the Madeira archipelago monk seal population and its habitat. It is an open workshop and will allow a maximum of 30 participants. This workshop is organized by the Secretariats of UNEP/ASCOBANS and ACCOBAMS. The ECS is co-convenor of the workshop. Aim: Explore overlaps between legal requirements and agreement obligations, identifying scientifically sound synergies in order to take forward cetacean conservation in an integrated and effective manner. Summary: Cetacean conservation in Europe is both mandated and mediated via a number of agreement obligations and legal requirements, including inter alia ASCOBANS, ACCOBAMS, OSPAR, CFP (and other fisheries measures) and the Habitats and Species, Marine Spatial Planning and Marine Strategy Framework Directives. These provide a variety of instruments for cetacean conservation including strict protection through threat-based measures covering, for example, killing and capture, as well as area-based approaches (protected areas). Overlaps in the conservation aims will be critically assessed, with the workshop seeking to explore and identify scientifically sound synergies in order to achieve an integrated and effective approach to cetacean conservation. There are recognised challenges to spatial management for highly mobile species such as marine mammals, and this workshop will attempt to address ways to integrate both threat-based and area-based conservation measures. It is an open workshop and will allow a maximum of 100 participants. This workshop is organised by Hebridean Whale and Dolphin Trust. Summary: Marine mammals are generally widely dispersed and occur in low densities, therefore collecting data on their distribution and abundance has always been challenging. Even on dedicated projects data collection is far from straight forward and researchers need tools to ensure that the appropriate data on detections and effort are collected consistently. In addition, many citizen science marine mammal projects often rely on members of the general public to crowd-source data. Both of these areas can benefit from the development of smart phone / tablet technology and widespread ownership of these devices which are capable of collecting remotely sensed data (e.g. GPS coordinates, vessel speed etc.) and facilitating consistent entry of other information. With a range of options already available for practitioners in the field and new products planned this is a good time for researchers to discuss the pros and cons of various approaches and features that would be useful in future developments. This workshop will provide such a forum, where researchers can share experiences in the development, use and promotion of apps for research on marine mammals. A key focus of the workshop will be sharing learning experiences and explore ways to save time and share resources in developing future tools that address perceived needs. It is an open workshop and will allow a maximum of 40 participants. This workshop is organised by Filipe Alves and Ana Dinis of CIIMAR-Madeira and Luís Dias of Ventura - nature emotions. Aim: Contribute to a more effective collection of scientific data onboard platforms of opportunity. Summary: Nowadays, the access to platforms of opportunity can allow researchers to collect scientific data in a regular basis at a low cost. It can include ferries with established regular routes or whale-watching boats, which have increased along coastlines globally. Despite its limitations, such platforms can offer ‘free’ trips on a daily basis, constituting a highly cost-effective tool and a valuable vehicle that can help answering to numerous questions regarding the conservation of marine mammals. Yet, existent information and protocols supporting the establishments of collaboration between local researchers and stakeholders such as tourist operators (e.g., whale-watching companies working with biologists) are still scarce. The present workshop aims to promote a discussion between stakeholders with access to platforms of opportunity and researchers, either with experience or planning to establish such type of collaborations. Researchers that have used/published information from this kind of data, and tourist operators that have developed such collaborations, will be invited for lectures. It is expected for participants to share experiences, as well as to highlight the limitations and benefits of using such platforms to collect scientific data (e.g., sighting, photographic). It is expected to discuss possible types of outcomes that can arise from such collaboration, from both scientific/conservation and tourist operator viewpoint. It is an open workshop and will allow a maximum of 25 participants. This workshop is organised by Rosa Trancoso, Filipe Alves, Ana Dinis of CIIMAR-Madeira and , Cláudia Faustino of CESAM, Universidade de Aveiro, Portugal/CREEM, University of St. Andrews, UK. Aim: Equip participants with ways to find publicly available environmental variables of relevance for cetacean research, and introduce data manipulation using open-source tools. Summary: The amount of environmental information freely available online is increasing, and so is the variety of open source software useful to manipulate those data. A common challenge that students and young researchers face in marine mammal science is identifying where to find relevant and good quality environmental data. These data may be fundamental when studying remote habitats such as the deep ocean. Additionally, manipulating those data may also not be straightforward as often the datasets come in specific language and formats. Handling environmental data is usually a time consuming task, particularly when it poses a cross-disciplinary effort out of the scope of the researcher. This workshop aims to bridge the gap between the data needs of marine mammal researchers and the open sources of environmental datasets generated by researchers in the fields of physical oceanography, meteorology or remote sensing. We will facilitate this process by pointing out repositories of freely available environmental datasets, along with examples on how to manipulate and integrate the information with other datasets (e.g., biological data). The workshop will provide a hands-on session with illustrations of where to obtain relevant data, and how to retrieve and manipulate variables such as bathymetry data, metocean hindcasts and remote sensing datasets. Furthermore, the elected software will be Python, an open-source programming language that is able to read and convert multiple file formats, as well as plot time series of georeferenced data in a simple way. Overall, participants will improve efficiency in identifying appropriate data for their research needs, exploring some procedures of data manipulation and integration. The use of the right tools will greatly assist researchers in saving time and gain useful insight on the information at hand. This workshop is organised by Ana Dinis and Filipe Alves of CIIMAR-Madeira. Summary: Oceanic islands worldwide provide important habitat for a variety of cetacean species. Archipelagos like Madeira, Azores, the Canaries or Hawaii, are good examples of such habitats, each of them with 25 or more species of odontocetes and mysticetes documented. Despite being open ocean oligotrophic regions, the islands surrounding waters are known for their biological productivity that attracts many pelagic organisms. Moreover, island-associated communities similar to the ones found in continental coastal habitats were identified in many of these archipelagos. Yet, little is known about the interaction of these individuals with the offshore communities and its significances for the sustainability of these populations. The purpose of this workshop is to bring together researchers conducting studies in similar environments to share knowledge for a better understanding of these unique habitats and what they represent for cetacean populations worldwide. We would like to encourage researchers all over the world working in such regions to submit talks resuming their studies in these cetacean populations. The exposure to and impact of POPs on cetacean populations: Is there still a problem? This workshop is organised by Paul Jepson and Rob Deaville of the Institute of Zoology. Summary: Persistent organic pollutants (POPs) have the potential to bio-accumulate in marine mammal populations and negatively impact individuals and populations. The most toxic compounds, like DDT and PCBs, were banned several decades ago in most developed countries. POP concentrations of banned substances subsequently declined in most biota and many wildlife populations (e.g. seals, otters, predatory birds) recovered. Some of the newer POPs (e.g. specific brominated flame retardants compounds) are increasing in biota in North America but declining in Europe following an EU-ban in 2004. So should we still worry about POPs? New and emerging data from Europe show that PCBs occur at the highest levels globally in some species like killer whales (Orcinus orca) and bottlenose dolphins (Tursiops truncatus) and in some regions like the Iberian Peninsula and the Mediterranean Sea. Most worrying of all is that following the 1986 EU-ban, the declines over time in cetacean blubber PCB concentrations have now stalled. High PCB concentrations are therefore set to continue for decades in Europe without significant further mitigation to reduce bioaccumulation in marine food webs. Marine apex predators like killer whales are likely to be the most negatively impacted by POPs, due to their long life history, high trophic level and near global distribution. In this workshop, we will examine the current status of POP exposure in cetacean populations. - Which POPs are declining, stable or increasing? - Which populations are still at risk from specific POPs? Finally, the workshop will also discuss the potential mitigation of POPs like PCBs. If POPs still pose a major problem in some species/regions: What can we do to mitigate their impact? Are there improvements in PCB disposal (e.g. incineration)? Or changes in estuary management (e.g. reduced dredging of PCB-contaminated sediment)? What else can we do to reduce POP bioaccumulation in highly exposed species? This workshop is for experts only and will allow a maximum of 20 participants. This workshop is organised by the ECS Scientific Advisory Committee - Jonathan Gordon, Sea Mammal Research Unit, University of St Andrews. Summary: Increasing concern about the potentially harmful effects of manmade noise on marine mammals brings with it a need to be able measure and understand how the behaviour of marine mammals is affected by different types of anthropogenic sound. In addition, animal responses to specially designed sound sources (such as fisheries pingers) underpin a number of potentially useful management and mitigation tools. Many field studies of free-ranging animals aimed at measuring behavioural responses to sound have been conducted in recent years. These follow three general approaches: observational studies of responses of free ranging animals to noise from activities that are already taking place, uncontrolled experimental exposures where the researcher introduces a sound source but does not have fine scale control over when it is active and controlled exposure experiments during which the researcher has fine scale control over when and where the sound is broadcast. Researchers have attempted to measure response metrics ranging from changes in relative densities to detailed movement and behavioural responses. A variety of research techniques have been employed, ranging from visual and acoustic observations to detailed telemetry tracking of target individuals. The research approach is often dictated by the particular species of interest, the type of sound being investigated and the metrics that can be obtained. In tandem with these studies, have been initiatives to develop and improve techniques for both collecting and analysing the types of behavioural data that such studies generate. When the research involves introducing a new source of sound there may be both ethical and regulatory concerns over possible effects on both the target study subject and other non-target animals in the vicinity. Although they are conceptually simple, these studies have often been challenging to deliver. The purpose of this workshop is to review and take stock of recent studies, critically assess the strengths and shortcomings of different approaches and synthesise recommendations for best practice which should be useful for those planning future studies. The intention is that the workshop should combine a series of presentations focused on practice and methodology of different approaches with ample opportunities for questions, exchange and discussion. This workshop is organised by Tim Dunn, Kelly Macleod and Sonia Mendes of the Joint Nature Conservation Committee. Summary: The Joint Cetacean Protocol (JCP) is an ambitious initiative that assembled effort-related cetacean sightings datasets from all major UK, and some European sources. These data represented the largest cetacean sightings resource ever collated in Europe and comprised: 38 data sources from at least 542 distinct survey platforms; over 1 million km of effort; and covered a 17 year period (1994-2010) in a region from the continental shelf edge west of Ireland to the Kattegat. 5. develop methods for the production of cetacean distribution maps and estimates of both abundance and changes in abundance. Each of these was met with varying levels of success and the workshop will review the outputs of the JCP to date. In doing so, lessons learned from the different analytical phases will be identified and will help scope the need and approach to a new phase of work. In discussing this, existing and potential data providers will be invited to present new datasets and/or data standards implemented and this will be opportunity to build wider European partnerships. The output from the workshop will be a draft scope for a new phase of the JCP, which will include identification of objectives, broad approach (data standards, contribution and analysis) and essential partnerships. Building on and broadening the geographic scope of the JCP brings with it greater potential to improve reporting and assessment for, as examples, the Habitats Directive and Marine Strategy Framework Directive, of European cetacean populations. This workshop is organised by Michael J. Tetley of the IUCN Joint SSC/WCPA Marine Mammal Protected Areas Task Force (MMPATF) (http://icmmpa.org/iucn-task-force/) in association with the 30th European Cetacean Society (ECS) Conference - March 14th-16th2016. Aim: This full-day workshop aims to address the following question: How can we better integrate abundance and distribution information into the process for the identification of IMMAs? Summary: This full-day workshop aims to address the following question: How can we better integrate abundance and distribution information visualised through species distribution models into the process for identifying IMMAs? Data and information on the abundance and distribution of marine mammals is necessary for their protection in marine management and spatial planning. Where systematically collected data may be unavailable other types of data, information, and alternative analytical approaches (e.g. habitat suitability mapping) will be needed to estimate abundance and describe time- and area-use by marine mammals. It is essential that these data and methodologies are considered in a systematic way during the application of criteria to identify Important Marine Mammal Areas (IMMAs), a strategic classification enhancing future marine planning and conservation measures for these species. Moreover, information on abundance and distribution must be considered in a manner that complements and enhances existing approaches based on ecological and behavioural studies, satellite telemetry, genetic analyses, and expert opinion. To this end, the IUCN Joint SSC-WCPA Marine Mammal Protected Areas Task Force (IUCN-MMPATF) is supporting a technical workshop series aimed at evaluating the main scientific approaches necessary for the identification of IMMAs. The primary goal of the proposed workshop - the second in the series - is to advance this work by examining how data and information on marine mammal abundance and distribution can be visualized geospatially through species modelling and used to support the identification of IMMAs. Results of these workshops will also contribute towards the creation of an IMMA Toolkit, which will become the primary guidance for the identification of IMMAs, and will be presented formally at the 4th International Conference on Marine Mammal Protected Areas (ICMMPA4) in Mexico. It is an open workshop for experts and will allow a maximum of 20 participants. This workshop is organised by Cristina Brito and James Barrett of the CHAM – Portuguese Center for Global History. Summary: All across human history and geography, humans have settled in coastal regions. Over time, people have perceived, explored and exploited marine resources in coastal lagoons and bays, estuaries and shores, which led to changes in those habitats and their natural populations. Consequently, coastal communities changed their values and perceptions of the sea, as well as their way of living and of using natural resources. Humans have historically interacted with marine mammals that stranded (dead or alive) and lived near the shore, and have treated them as valuable resources. But practices and perceptions regarding these animals have changed in different periods of time. The main goal of this workshop is to address changing values, uses and practices regarding marine mammals, from the Iron Age to early modern and contemporary times, combining archaeological and historical evidence. This is a joint workshop of Working Group 2 (Coastal Settlements) and Working Group 4 (Changing Values) contributing directly to the general aims of the Oceans Past Platform. WG 2 aims to understand changes in the scale and character of marine resource use (influencing settlement locations, regional specializations of labour, trade and globalization), over the last two thousand years. WG 4 aims to document the changing relationships of society and marine life in a comparative trans-disciplinary and integrative way. In particular, it aims to address the long-term interaction of humans and marine mammals in medieval and modern Europe, and how changes unfolded across the centuries to the present day. Key sources will include historical or archaeological information and reports regarding whaling and strandings, in combination with the works of naturalists and other evidence for new views of nature. Folklore, traditional local knowledge, and ethnozoology will also play a role in this research. Abstracts for short communications regarding the abovementioned topics, using marine mammals as case studies, are welcome. Abstracts can be sent up to the 22nd of February to escolademar@gmail.com. This workshop is sponsored by COST ACTION IS1403 OPP – Oceans Past Platform. It is an closed workshop and will allow a maximum of 25 participants*. *Note: This is meant to be a semi closed workshop, as it is directed mainly to members of the COST Action IS1403 OPP (most participants will also be attending the ECS conference) but people interested in attending can join if there is room availability. This workshop is organised by Mark Peter Simmonds of the Humane Society International. Aim: Skill sharing across key areas of marine mammal resuce. Summary: This rescue workshop will be the latest in a series of held in association with the annual ECS conference. An earlier ECS Best Practice Workshop on rescue and related ECS workshops have clearly established the desirability of holding a regular gathering of rescue practitioners from across Europe. Such workshops facilitate much needed regular exchange of information about best rescue methodologies and the latest technologies (both of which continue to rapidly evolve), and also provide a forum to share experiences within the European rescue community more generally. This workshop will also benefit from following closely after several rescue workshops that will be held in conjunction with the Society of Marine Mammalogy Conference in San Diego in December this year. We will be able to provide a report-back from those workshops about their conclusions and updates on the latest approaches and technologies being applied to rescue situations in North American and elsewhere. The agenda of this latest ECS rescue workshop will also include consideration of responses to stranded cetaceans (including mass strandings), an update on work addressing entangled large whales and other key topical matters. We will also discuss progress on euthanasia options for situations where rescue is not possible and other pressing topical issues such as decision making and human safety. The workshop will be free to participants and is sponsored by the Humane Society International. It is an open workshop and will allow a maximum of 50 participants. This workshop is organised by Sarah Wilkin of NOAA Fisheries and Michael Ziccardi of the University of California-Davis. Summary: The organisers will present an overview of recent oil spills with marine mammal impacts (including Macondo/Deepwater Horizon in 2010, Texas City Y in 2014, Refugio Beach in 2015, all in the United States) and how marine mammals were incorporated into the Wildlife Response. We will discuss the US’s National Pinniped and Cetacean Oil Spill Response Guidelines and associated protocols for response, as well as assessing the impacts of oil spills on marine mammals. Finally, a mock tabletop exercise will be conducted for participants to gain practical experience. We anticipate that participants will leave the workshop with a better understanding of the issues and challenges associated with responding to marine mammals impacted by an oil spill, and will be able to better prepare for a potential event in their own region. This workshop is organised by Léa DAVID of ACCOBAMS. Aim: To present and discuss the tools under development to the professionals in order to increase certificate efficiency and define roles of the different actors and links among them. Summary: Considering the growing numbers of seismic operations and related projects in the ACCOBAMS area and their known negative impacts on cetaceans, ACCOBAMS is developing a high quality training module to train MMO/PAM within the Agreement area (Mediterranean Sea, Black Sea and contiguous Atlantic area). This training module is composed of tools and a framework for implementation in accordance with current standards applied elsewhere in the world. Nevertheless, these tools will need to be known and accepted by professionals involved in the monitoring of noise at sea and its impact on cetaceans (scientific, political, industrial, MMO/PAM). The aim of the proposed workshop will be to present and discuss the tools under development with professionals in order to promote this certificate and define roles of the different actors and links between them. The specific objectives are (1) to further develop applicable and relevant tools, (2) to identify ways for these tools to be accepted by relevant bodies and organizations, and (3) to learn from best practice to reach high quality training standards. This workshop is organised by Annalisa Zaccaroni of the Department Veterinary Medical Sciences, University of Bologna (Italy) and Simone Panigada of the Tethys Research Institute, Milan (Italy). Aim: The workshop is aimed at reviewing the current state of knowledge on threats to the marine mammals of the Mediterranean Sea, putting together experts on pathology, acoustics, toxicology and population monitoring. Summary: The Mediterranean Sea is a particular, closed sea rich in marine biodiversity, marine mammals included. As well, it is one of the most crowded marine areas, and human impact on water quality and marine mammals’ environment is enormous. Marine mammals have to cope with increasing pollution, high naval traffic, noise pollution, pathogens, which can increase their risk of extinction. The workshop is aimed at reviewing the current state of knowledge on threats to the marine mammals of the Mediterranean Sea, putting together experts on pathology, acoustics, toxicology and population monitoring. The workshop will turn the focus of the discussion from a single research topic (e.g. toxicology, pathology, etc.) to the whole environment marine mammals live in, to get to a more complete scenario of threats, of present knowledge and of research gaps that require attention. The outcomes of the workshop will allow the identification of future conservation and management issues, e.g. in relation to naval disturb, habitat disruptions, pollution. The day will comprise of some specialist presentations focused on each potential threat to marine mammals, and of a second sessions during which researches will be presented. Contributions from young researchers will be encouraged, as well as the presence and participation of students. This workshop is organised by Antonio Fernández and Manuel Arbelo of the Institute of Animal Health (University of Las Palmas GC). Aim: Pathology, a tool for cetacean health and conservation. Summary: Advances in cetacean pathology: Lesions, causes and diseases. Field and lab Diagnosis. New techniques and tools. Comparative Pathology and Pathogenesis. Emerging and reemerging diseases. Cases for discussion. Networking. 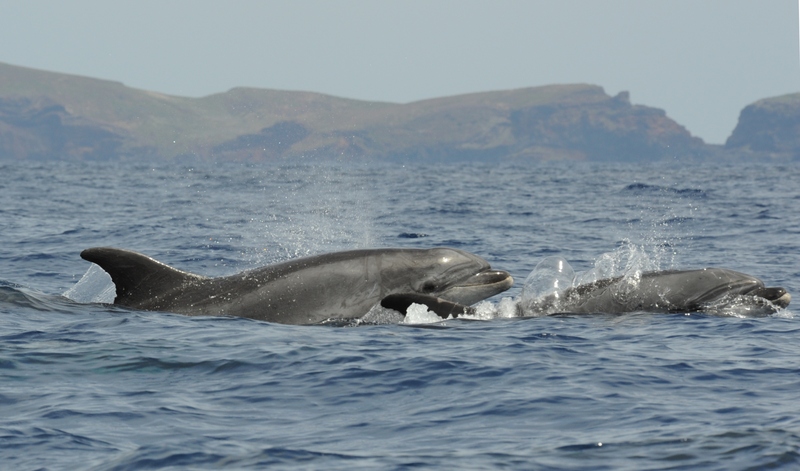 This workshop includes the 2º Meeting of the Macaronesian Cetacean Health Network (SANICET). Sunday, 13th March (full day), contact Volker Smit (smit@m-e-e-r.de), Luigi Bundone (luigi.bundone@unive.it) and Angela Ziltener. This workshop is organised by the NGO M.E.E.R, Berlin, Germany (www.m-e-e-r.org), Archipelagos, Ambiente e Sviluppo Italia, Dolphin Watch Alliance and the Madeira Whale Museum. The workshop will take place at the Madeira Whale Museum with a presentation and guided tour by the museums’ staff. There will be a transport organized for the workshop participants from the conference venue in Funchal to the museum in Canical (approx. 30 minutes one way) which is included in the workshop fee of 25 Euros. For any questions regarding registration and details referring to the programme - which will be send to you on request - please mail to: Luigi Bundone (luigi.bundone@unive.it). • support ECS to address educational questions. Summary: After the workshops in Setubal, 2013, Liège in 2014 and on Malta 2015 we want to continue to share educational and outreaching experiences of communicating marine mammal science to schools and to the general public. These experiences can be educational programs that support school curricula, pedagogical outreach materials such as books, videos, kits, activities and exhibitions. As in recent years we will focus on the theme of the conference: "Into the Deep: Research and Conservation on Oceanic Marine Mammals". For an introductionary round during the workshop we would kindly ask all the participants – if applicable - to prepare 1-2 powerpoint slides showing their involvement in education and present it to the workshop participants during a max. of 2-3 minutes. At the end of the introductionary round we will run a short brainstorming session where the participants have the opportunity to give some input on what they want to get out of the workshop. The workshop is open to researchers, educators, science teachers, students and to the media and will allow a maximum of 25 participants. This workshop is organised by Lonneke L. IJsseldijk of the Faculty of Veterinary Medicine, Utrecht University, Thierry Jauniaux of the Faculty of Veterinary Medicine of University of Liege and Andrew Brownlow of the Scottish Marine Animal Stranding Scheme SAC Veterinary Services. Aim: The protocol used during necropsies of (small) cetaceans is the tissue sampling and necropsy protocol written in 1991 by Thijs Kuiken and Manuel Garcia Hartmann. Increasing knowledge and experiences on this topic makes it necessary to update the protocol including also considerations for pinnipeds and large cetaceans, together with international experts of this field of research. This is the follow-up workshop on the proceedings of the 2014 workshop (ECS, Malta) aiming towards the establishment of an updated document on above mentioned protocol. Summary: To increase knowledge on distribution and population biology, and to identify main lesions and threats of marine mammals, scientists started to record information on stranded carcasses many years ago. Pathological examination is an important part of this, as diseases play a role in population dynamics. Stranding and mortality data can be used as an indicator for populations. Marine mammals are protected in many intergovernmental organisations and agreements which encourage using stranding and mortality patterns for conservation measures. Such species are considered as bio-indicator for toxicology. In addition, emerging and potentially zoonotic pathogens are frequently isolated and identified. Then, systematic necropsies using a similar protocol are essential to compare data at the European level. The necropsy protocol nowadays still in place (Kuiken & Garcia Hartmann 1991) needs to be re-evaluated and needs to be updated according to today’s knowledge and also include considerations for large cetaceans and pinnipeds. This is the follow-up workshop on the proceedings of the 2015 workshop (ECS, Malta) with was held under the same topic. Central in this workshop was sharing of current knowledge and preliminary results. The goal of this workshop is to bring together the experts in port-mortem research on marine mammals with the aim of composing a document/hardcopy of the update protocol, based on the outcomes of the 2015 workshop. This workshop is closed for experts only and will allow a maximum of 20 participants.